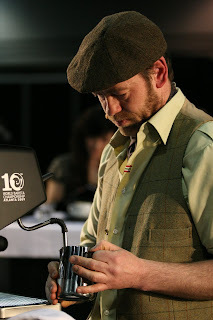 In case you hadn’t noticed, the SCAA has had it’s own “Extreme Makeover” over the past year. We’ve welcomed new staff members, overhauled our main website, launched the Member Portal, embraced new technologies, and we just launched our new and much improved Exposition website. The best feeling in the world is when a member gets excited about something new that has come out of the organization; something that gets their coffee brewing so to speak. That is what has the SCAA staff working the not-so-occasional weekend day-that awesome feeling of accomplishment you get when you’ve earned a member’s interest and excitement. Of course, that “we did it!” moment is quickly followed by a “how can we do more!” moment. With our 2010 Exposition right around the corner in April (Online registration opens in just a few weeks!) we are in full steam ahead mode. 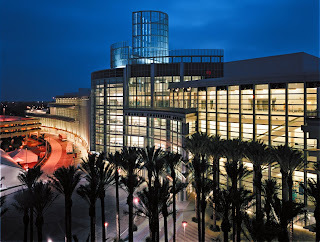 We (and a few thousand of our coffee brethren) will be converging upon the Anaheim Convention Center, pictured above. 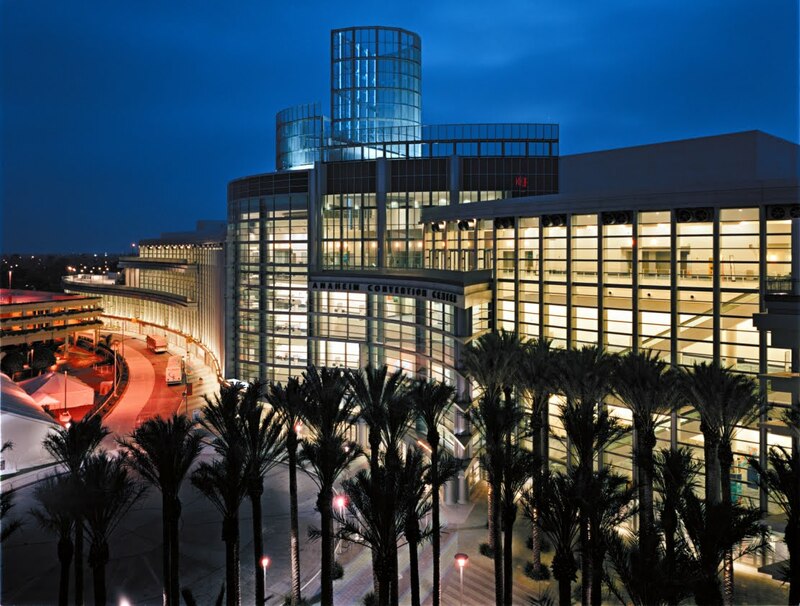 The venue, located in the heart of sunny Southern California, boasts views of Disneyland from the upper balcony areas, and is minutes away from Anaheim GardenWalk, Downtown Disney, and driving distance from famous So Cal destinations such as Hollywood, the Sunset Strip, and many others. Of course, we’ll be bringing back all of the “hits” of 2009: lowered registration pricing ($95.00 gets you in for all 4 days, and gives you access to the show floor, un-paid events such as the United States Barista Championship, our lectures series, and more), a Thursday-Sunday schedule, and the second annual Symposium. What’s new? Glad you asked! We’ve added cupping rooms available by reservation* for anyone who wants to present their coffee in a professional and personal way, the Inside Information Stage-a how to series presented by the pros that will help you work more efficently and effectively, and new professional development certification programs. 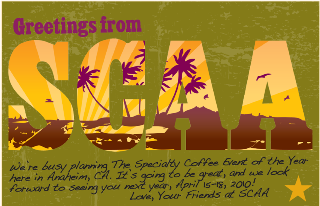 If you’ve been on the fence about reserving a booth to exhibit your products or services at the SCAA Expo, 2010 is one of the best opportunities yet. Of course, one big benefit is if you become a member prior to reserving your booth, you could save anywhere from $400-$3,000! Our show floor team has really gone the extra mile this year, and has developed new tools for exhibitors such as the 2010 fact sheet as well as the marketing and promotions guide for exhibitors. After all, we don’t just want you to book a booth-we want our exhibitors to succeed in reaching their target customers and developing new business contacts. And if you need help or have any questions, just ask our show floor team. They’re experienced, knowledgeable, and will help you maximize your recognition at the show. As you can tell, we’re pretty excited about 2010. Stay tuned for announcements on the launch of the new Expo website, Symposium programming and speakers, our online attendee brochure and much, much more. *Cupping rooms are by reservation only for a small rental fee. Contact ccohn@scaa.org for more information.